Rebecca Shepherd floral design: Valentines Day! I would like to announce that I will be selling flower arrangements at my store Urban Alchemist in park slope, Brooklyn on Saturday Feb. 13th and Sunday Feb. 14th. 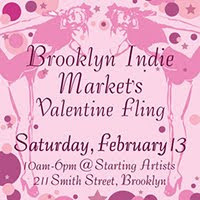 AND if Carroll Gardens is more convenient, you can find my flowers and jewelry at 211 Smith street @ Starting Artists. (Feb. 13th ONLY) The collection will be a mixture of rich Black Baccara roses, hot pink spray roses, and skeleton leaves in a clear vase. Each container will have a small vintage key tied with black raffia twine and packaged in tissue paper. When you purchase a flower arrangement, you get 10% off all my jewelry!